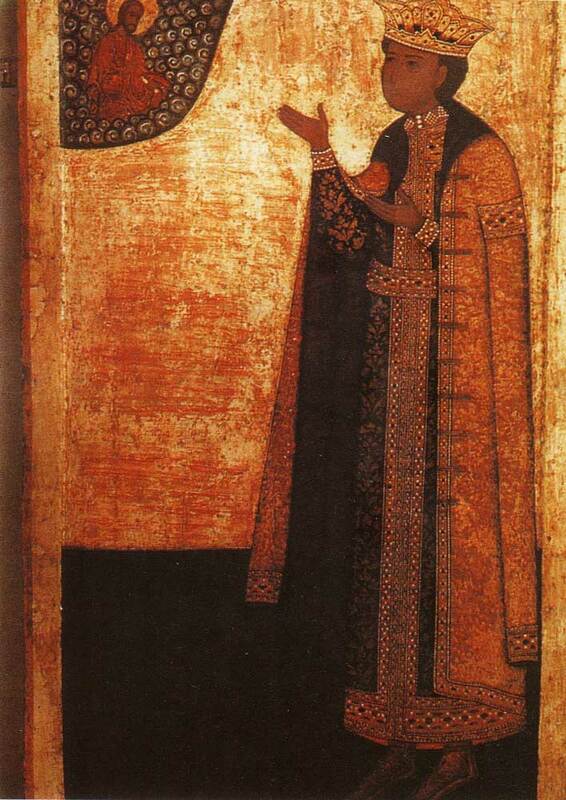 Culture | Holy Prince Dmitry, son of Ivan the Terrible. Icon of XVII century. Holy Prince Dmitry, son of Ivan the Terrible. Icon of XVII century. Kolomna. An engraving from the book by A. Oleary. XVII.George. Ikona.XIV in. Paintings in the Church of the Nativity of the Virgin in Feropontove.